Ready for a personalized gift instead of those boring store bought Valentine cards? Follow this DIY for a unique, techy gift for classmates, friends, and family. 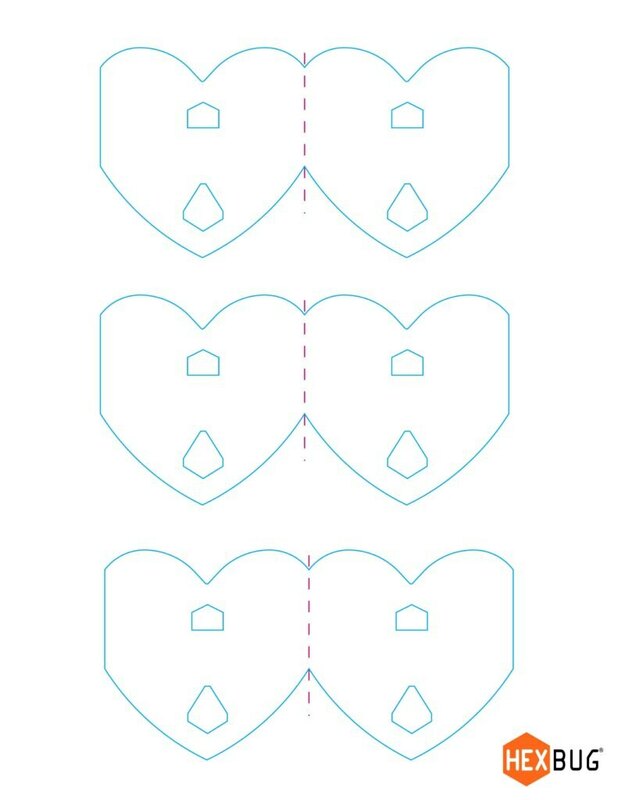 Includes free printable cutout that fits perfectly inside of our new HEXBUG Valentine nano packaging so that you can give a truly personalized gift! Help your kiddo create a unique and fun Valentine gift in 5 easy steps! With minimal mess and LOTS of fun, it’s the perfect DIY Valentine activity for kids of all ages! Cut out the heart shaped card and the shapes inside it. Fold along the dotted pink line. Choose your colors and start personalizing your card. Decorate the outside and open up the card to write a heartfelt note. Open the nano heart container and take out the nano. Align the cut outs in the card with the stand in the center of container. Place the card over the instructions and replace the nano and the lid. Voila, you have a personalized Valentine’s gift! We feel pretty confident that your kids’ friends will love this nano even more than the original! Show us your creations by tagging us on Instagram, Twitter, or Facebook @hexbug, or use #HEXDIY to show us your Valentine!